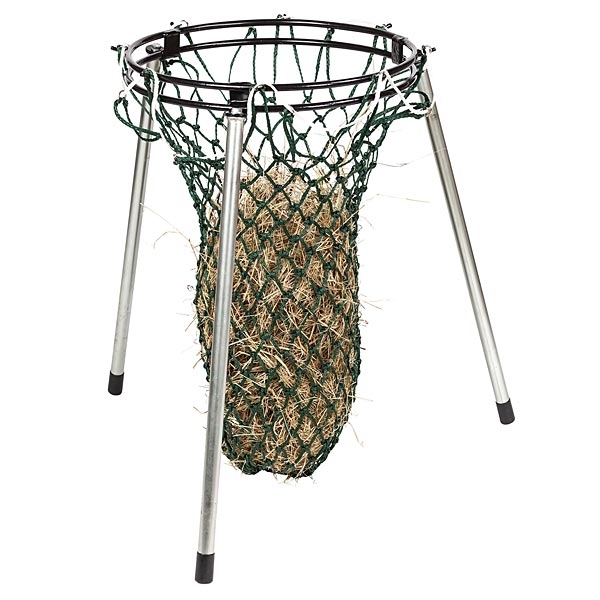 Nets So Easy from Stubbs provides you with a much easier way to fill your haynet, wherever the hay is. It is light enough to easily move about while still being sturdy enough not to rock, tip or bend when in use. Just hook your net over aand you are ready to start filling The strong zinc plated tubular legs have rubber feet to ensure stability. No tools are required to attach the legs. There are currently no questions for Stubbs Nets So Easy - be the first to ask one!